A man is charged with capital murder in the deadly shooting of 7-year-old Jazmine Barnes, and a second suspect has been taken into custody. 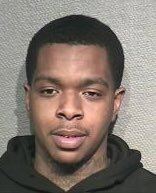 Police did not provide a mug shot of the man they charged, but it was reported by Fox 26 and the Houston Chronicle that the suspect Eric Black Jr. is African-American. The killer was initially described as being a middle-aged white man by the family. LaPorsha Washington, and her daughter, Alxis, 15, talk at a press conference held Thursday, Jan. 3, 2019 at the home of a family member in Katy about the shooting on Sunday that killed her seven-year-old daughter Jazmine Barnes. Jazmine Barnes, 7, was shot to death in northeast Harris County on Sunday, Dec. 30, 2018. 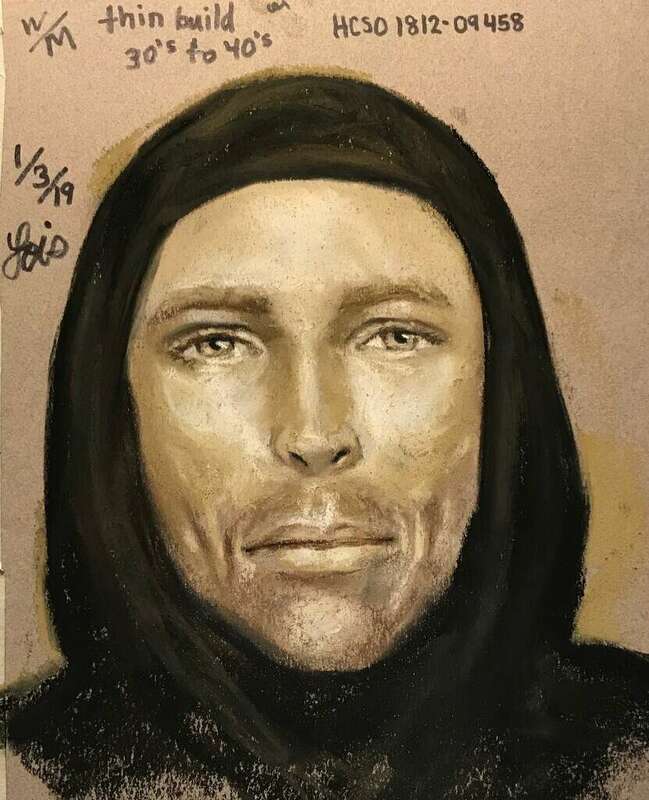 Harris County Sheriff’s Office Homicide investigators today released a sketch of the man suspected in the Dec. 30 shooting death of 7-year-old Jazmine Barnes. The sketch was created based on a description provided by members of Jazmine’s family. The suspect driving a red, four-door pickup when he opened fire on the family vehicle at approximately 6:50 a.m. on the southbound E. Sam Houston Parkway frontage road just south of Wallisville Road. At the news conference, Alxis also provided new details about the gunman who killed her sister. "He was white and blue eyes," Alxis said. "I couldn't see his hair, nothing like that." The 15-year-old said she believed the gunman had been wearing a black hooded sweatshirt, and had gaunt cheeks, with possible stubble - a different description than has been widely reported in previous days. Washington said she believed it was a hate crime. "I don't know if he's out here sick. He's taking innocent lives, and it's not fair, it's not right." 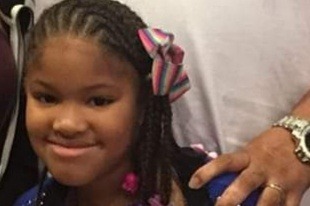 New details in the deadly shooting of 7-year-old Jazmine Barnes revealed the suspects fired at the car she was in by mistake. According to court documents, the suspects believed it was another vehicle. Now why would mom not only lie about the shooters color, but the color, make and model of the vehicle as well? Unless of course to steer the investigation away from the real killers. terrible a child got killed, but to profit off her death is just as terrible. A 7-year-old who was riding in a car with her mother and three sisters was killed in Texas over the weekend, the authorities said, when a gunman in a pickup truck suddenly pulled up alongside them and opened fire. The police sketch looked like the kind of cruelly handsome white actor who gets cast in home security TV commercials as a burglar. The image of a white man suddenly firing on a black family raised questions about whether the shooting had been racially motivated. Sheriff Gonzalez said the authorities had not established a motive and could not discount the possibility of a hate crime. “We’re not ruling anything out and we’re not going to speculate,” he said. As I’ve mentioned before, in recent years, the cops have had a pretty good record at not getting carried away by media enthusiasm to hand them Great White Defendants. “We’re not ruling anything out and we’re not going to speculate,” is a pretty good response. HOUSTON — Relatives of Jazmine Barnes, the 7-year-old Texas girl who was fatally shot inside a moving car, grieved on Saturday at an emotionally charged rally not far from where the gunman opened fire on a family that was out on a morning coffee run. Jazmine, who was black, was in the car with her mother and three sisters when a white man pulled his red pickup truck beside them and began shooting, the police said. 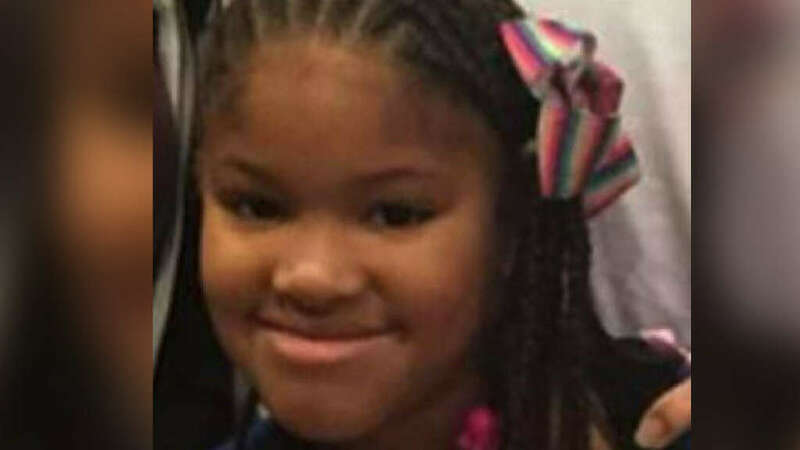 HOUSTON (FOX 26) — Multiple sources tell FOX 26 News that a suspect is in custody in the shooting death of 7-year-old Jazmine Barnes, along with a possible second suspect. Sources say the alleged shooter is black, not white, and also that the shooting may have been gang-related. 5 days ago – … on what prompted the driver of the pickup to pull alongside and fire into the car carrying Jazmine Barnes, three of her sisters and her mother. 4 days ago – … fire into the car carrying 7-year-old Jazmine Barnes, three of her sisters and her mother. Gonzalez says the shooting as “totally unprovoked.”. 3 days ago – … Sheriff Ed Gonzalez said Wednesday that his agency is not “tone deaf” to concerns that race played a role in the death of Jazmine Barnes. Same area, 3 days ago, no coongress wimman ooking, no feetsball playa donating paycheck, no coverage Joo York Times, etc. A Texas City man faced a judge just one day after he allegedly killed three children, including a baby, and then shot his girlfriend in the head. Junaid Mehmood was taken into custody late Thursday behind the Panera Bread restaurant on El Dorado at I-45 in Clear Lake, just hours after police made the gruesome discovery. 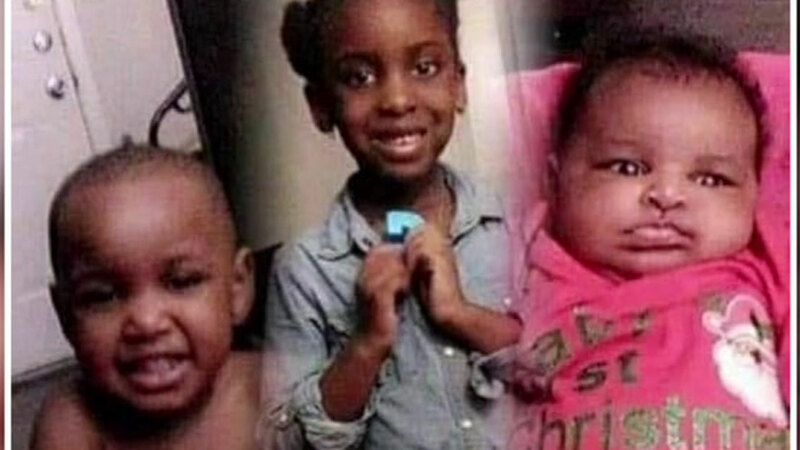 Late Friday, we learned chilling details about how the three children died inside the family's Texas City apartment. Police said the Galveston County Medical Examiner's Office found the three young victims suffered multiple stab wounds, as well as blunt force trauma. Police say the 27-year-old confessed to 911 dispatchers about killing Angela Pilot, 5; Prince Larry Brown, 2; and 2-month-old Ashanti Mehmood. The mother of the children, Kimaria Nelson, 24, underwent surgery and is currently listed as stable at University of Texas Medical Branch in Galveston. Officers said they were responding to a welfare check around 6:15 p.m. Thursday at the Pointe Ann Apartments when the bodies of the children were found. 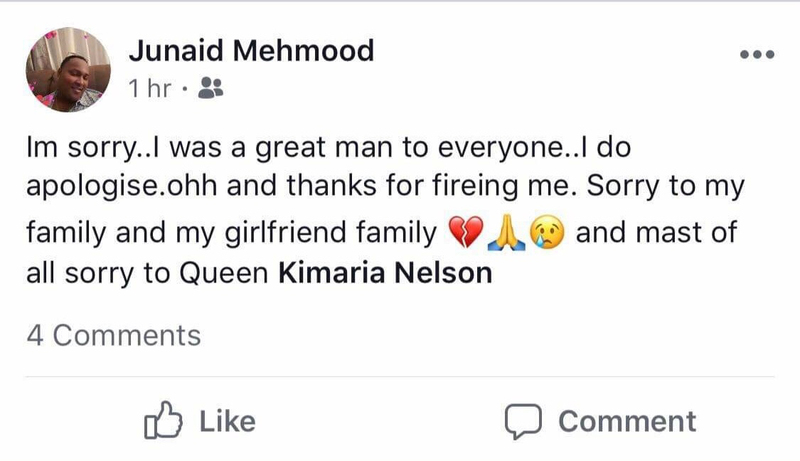 Goodwill Industries told Eyewitness News that Mehmood quit his job on New Year's Eve, with no explanation given. Thursday night, Mehmood was audibly distraught in the back of a patrol car as he awaited transfer into Texas City police custody. News of the children's death and Mehmood's capture sent shockwaves through Nelson's family. "I'm shocked," said Taurus Nelson, the children's grandfather. "She (my daughter) actually wanted me to meet him and she was crazy about him, this that or the other." Congresswoman Sheila Jackson Lee called for a nationwide manhunt for the suspect, who has been described as a bearded white man, possibly in his forties. His victims in the shooting are all black. "This is no longer a Houston case," Lee said. "This is the case that has taken national proportions and so you are gathered here for the nation to see that there is no room for failure." HOUSTON (FOX 26) - The deadly shooting of 7-year-old Jazmine Barnes has captured the attention of the nation. Now, a basketball legend and a Houston first responder are stepping up to help her family. Shaquille O'Neal and Houston Senior Police Officer Kenneth Miles are covering the costs of Jazmine's funeral. Officer Miles is dropping off the cashier's check Friday morning. Texans star wide receiver DeAndre Hopkins decided to dedicate Saturday's game check to support the family of 7-year-old Jazmine Barnes, who was killed last Sunday in a drive-by shooting in Houston. A man was charged with capital murder for the killing of 7-year-old Jazmine Barnes, who was fatally shot inside a moving car last month in a Texas Walmart parking lot, police said Sunday. 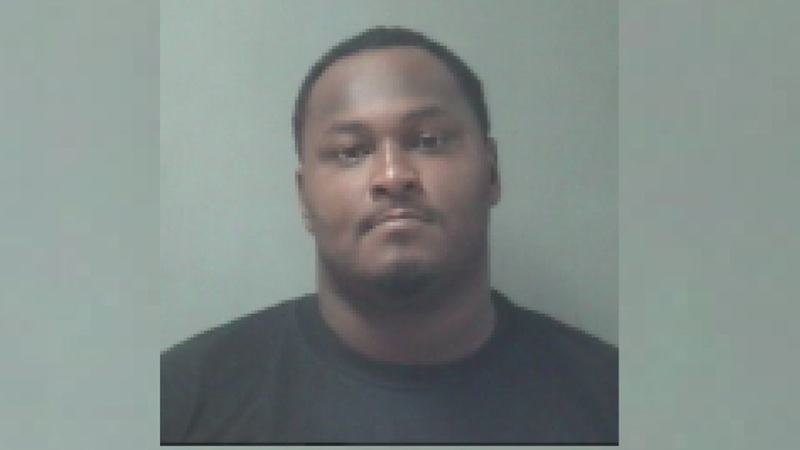 Eric Black Jr., 20, admitted to taking part in the shooting, the Harris County Sheriff’s Office said in a statement. “Investigators are continuing to pursue evidence that could possibly lead to other suspects being charged in this case,” the statement said. People from across the country — including activists and celebrities like Gabrielle Union, Olivia Wilide and Ava DuVernay — had been trying to help with the investigation since the Dec. 30 drive-by shooting. Jazmine had been in a car with her mother and three sisters when a man in a red or maroon pickup truck drove up and opened fire. The little girl was fatally shot in the head. 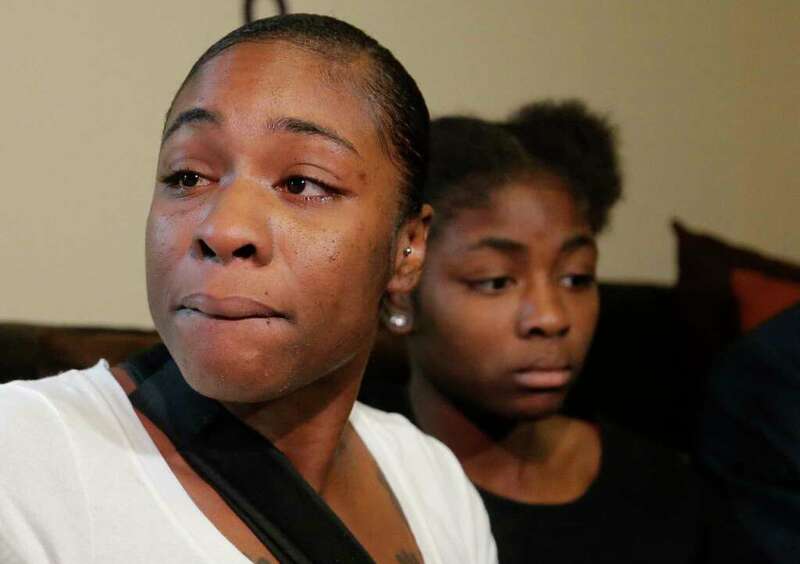 Her mother, LaPorsha Washington, 30, was shot in the arm and Jazmine’s 6-year-old sister was hit by shattered glass. 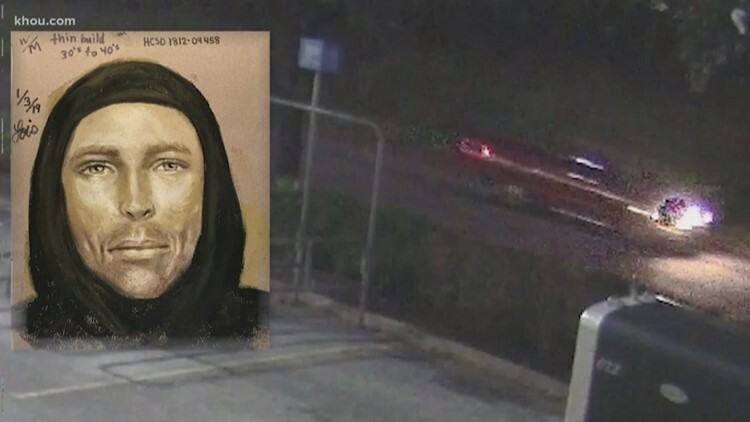 Police had released a sketch of a suspect last week that showed a white man in his 40s, and the crime was initially believed to be racially motivated. Sources told the outlet that a second man, named Larry Woodruffe, 24, has been arrested as a second suspect in the case. Jazmine’s funeral, which will take place on Tuesday, is being paid for by NBA legend Shaquille O’Neal and veteran Houston Police officer Kenneth Miles, according to Fox26. Picture of Jazmine Barnes Killer Ironic Her mother was Facebook friends with her daughters own killer. Jazmine’s mother’s name is La Porsha Washington. 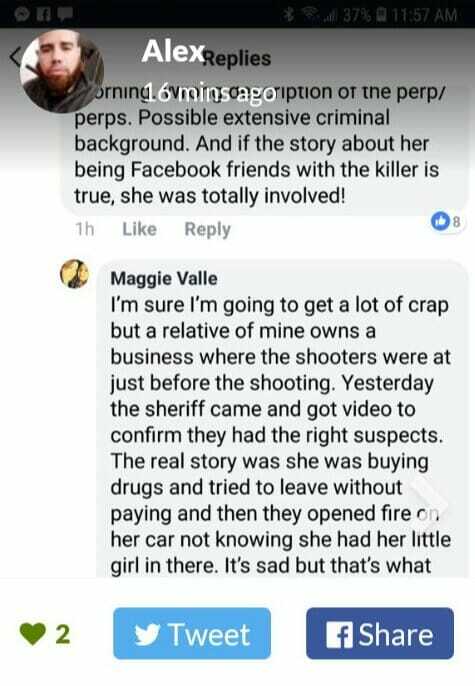 Jazmine Barnes Mother Facebook Page was taking down after law enforcement learned she was friends with her childs killer. Jazmine Barnes mother filed a report claiming a White Male had shot her daughter. The killers were black males — and at least one was Facebook friends with the mother. And once again the social justice warriors got it wrong. The race card doesn't work anymore. Just saying. Is Abc13 aware that the alleged shooter and the victim's Mother are friends on Facebook? Shooter is Fan Eric and victim's Mother is Porsha Washington. Clearly there is more to be revealed on this, and I predict some high levels of drama. The mother has been booked before. COULD BE A DRUG DEAL GONE BAD!